My twin nieces live in Jacksonville, FL, an area that generally votes red, but only by a couple percentage points. 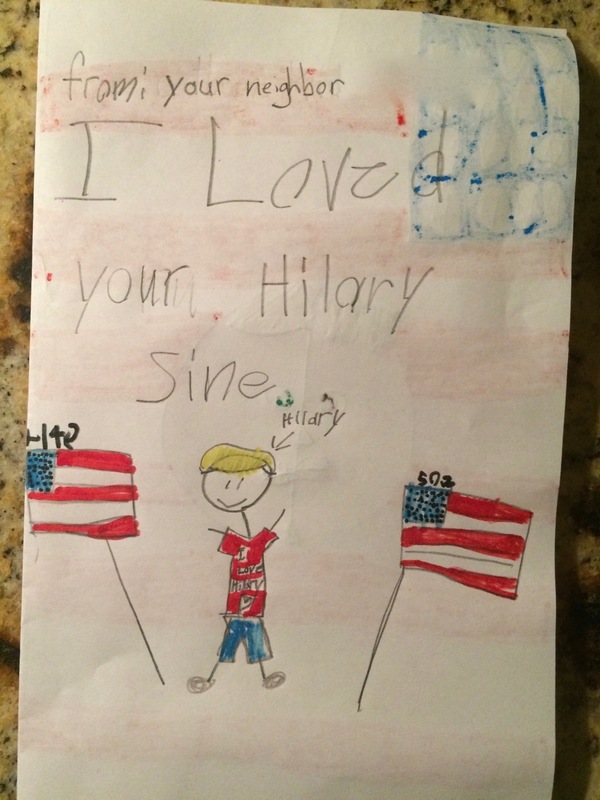 After the election, one of my nieces noticed that the neighbors had taken down their Hillary sign, and she worried that the neighbors were sad. So she wrote them a letter. We are glad you Love Hiorlory. 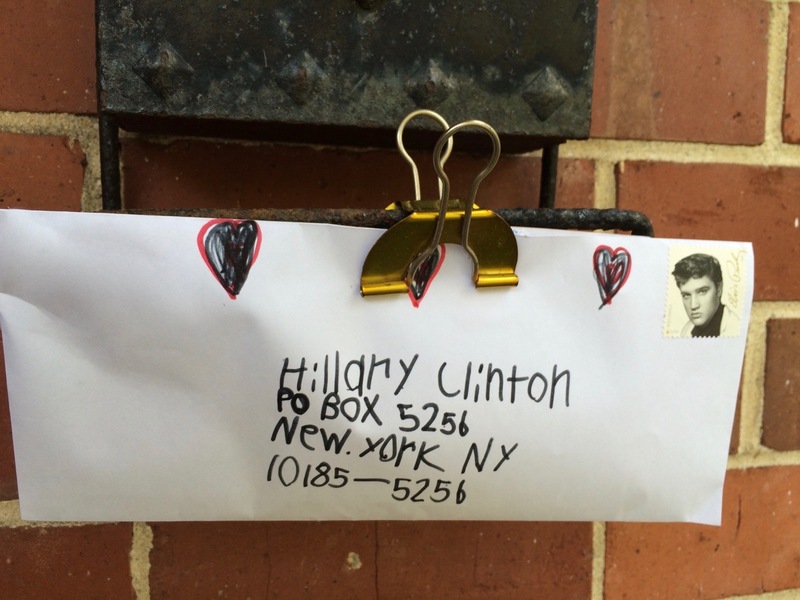 My other niece also wrote a letter (and you can too).